Welcome to the Recording Connection Digital Information Kit. The videos below were created to answer frequently asked questions from parents and students about how our unique audio apprenticeship programs work. We realize our approach differs from other schools. We strongly believe our approach — the mentor/apprentice approach — works better, especially if your goal is to get a job in audio. Recording Connection is the school that provides its students with music industry professionals serving as their private instructors. If you want to be an audio engineer, we pair you with a working, professional audio engineer. If you want to be a music producer, we pair you with a professional music producer. If you want to learn Electronic Music, Hip Hop or be a Live DJ, we pair you with professionals who are making their music in your choice of genre. This hands-on, one-on-one, private instruction approach to learning from industry professionals who make their living doing what you want to do upon graduation is the Recording Connection standard. We feel that if you invest the 20 minutes it will take you to view these videos, you too will see why our approach not only makes sense, but works well to prepare you for a career in the music industry. Welcome to Recording Connection‘s informative overview! – Larry King, award-winning television & talk show radio host. things to say about us and the power of our program. Ask yourself… Do you want a meaningless diploma, or a job? Ryan Adkins is a Recording Connection graduate turned full time studio owner and engineer, currently working with Mike Lions at Azmyth Recording Studio in Indianapolis. We place you in a real studio from day one. Extern (apprentice) under an engineer, producer, DJ, composer, executive and more 1 on 1. Imagine learning to be an audio engineer or music producer from the guy who produced U2, or Michael Jackson, or Prince, or Pearl Jam, or 50 Cent, or… With The Recording Connection, even world famous music producers and audio engineers can be your private instructors (mentors). 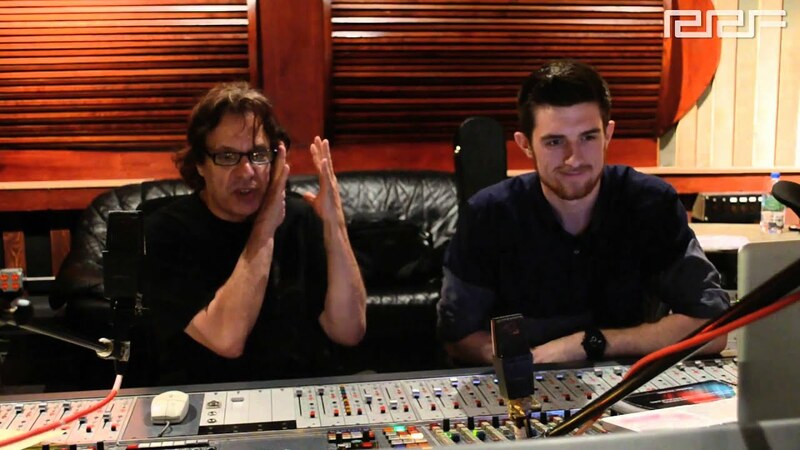 So, who would you rather learn audio engineering or music production from a music professional who has Gold or Platinum Records on his wall, or a college professor who has his degree on the wall? We place you in a professional environment. – Dave Pensado, Grammy Award Winner, Mixer for Beyonce, Pink, Michael Jackson. Legendary teachers, psychologists, moguls, federal judges, CEOs and celebrities send their kids to The Recording Connection to get the very best education. We are honored to serve our community. The global community. These Recording Connection graduates are now working in the audio recording and music producing business because of the education they received and the connections they made through our school. Some are now Chief Engineers, others are recording studio owners, and still others are producing music. paid employment in audio, in just the past year. Since the beginning, we’ve always known that the best thing we can offer our students is the opportunity and setting to make industry connections. As you progress through our audio course, you will meet, network and connect with music producers, executives, clients almost every time you go to class (in your mentor’s recording studio). Connections are the primary reason our job placement statistics are so high. The RRFC Job Board helps connect students with jobs. The music business is constantly changing. What was in yesterday is now out. If you develop entrepreneurial skills you will always be able to make a living in the music business. If you just want to show up for work, then you will always be subject to the whims of a capricious business. Our mentor/apprentice (externship) method of education places each student in a private externship (apprenticeship) with an independent working industry professional, who, by definition, is an entrepreneur–so you get to see and experience what it takes. It’s one of the reasons our students do so well out in the real world. Most Recording Connection graduates find work in their field. These Recording Connection graduates are now working in the audio recording and music producing business because of the education they received and the connections they made through our school. Some are now Chief Engineers, others are recording studio owners, and still others are producing. We are endorsed by the biggest names in the entertainment business. Grammy Award-Winning hit rapper Warren G. is a Recording Connection student. NHL Hockey player Mika Zibanejad is a Recording Connection student. We have recently partnered with Rock n Roll legend Nikki Sixx and Hip Hop legend Russell Simmons, who sent us a student. Legends of the audio world speak about us daily because our method works. They know what you will soon know: that this is the smartest way to break into a very competitive field. The Recording Connection is a big fan of Dave Pensado and Herb Trawick and their show Pensado’s Place. Apparently, they appreciate our commitment to being the best audio engineering and music production school around. We know they love our mentor/apprentice based method of education because they believe if you want to be a pro, the best way is to learn from a pro, and that’s what the Recording Connection does. Our promise to parents: We will work hard – very hard – for your child. Dave Pensado, Recording Connection mentor Matt Linesch, and Recording Connection apprentice, Hannah Finegold discuss the Recording Connection’s mentor/apprentice music education approach at the world famous United Recording in Hollywood, CA. United Recording is one of the many famous recording studios where Recording Connection students serve their apprenticeships. The Recording Connection gives you access to world renowned music producers like the legendary John King of one of the most famous recording studios in the world: Chung King Studios. John King is one of the early pioneers of Hip Hop with Rick Rubin and Russell Simmons and is considered a rock n roll producing legend as well….Watch how one of our Recording Connection apprentices learns directly under him, one-on-one in his studio… Make no mistake, THIS COULD BE YOU! You have choices and decisions to make. Choice One (most other schools) puts you in crowded classrooms and fights over board time on a daily basis. Choice Two (The Recording Connection) hooks you up as an apprentice with a mentor (professional audio engineer, music producer or sound technician) in a real recording studio where it’s just you and your mentor. In other words, quality face time, each and every week. Of course, sometimes you and your mentor will be dealing with clients while you sit in, and eventually run, sessions, but truth be told, that’s a good thing. If you still have questions, please don’t hesitate to give us a call at 800-755-7597. We’d love to hear from you and answer all your questions.